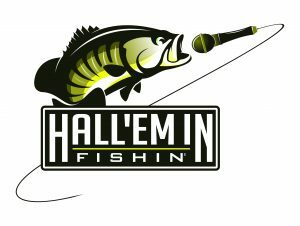 Hall’Em In Fishin’ Episode 8 The Bi-Weekly Florida Fishing Report! We start with our coverage of the Fort Myers Beach area and bring Captain Neil Eisner to the show! Capt. Neil specializes in back-country jig fishing and talks about his exclusive use of products from our friends at C&B Custom Jigs. He goes on to tell us about the changing water temperatures and his recent success with Sea Trout and Redfish! jump across the state to Captain Andrew Stansell of Low Impact Charters who will provide some great insight into catching the right baitfish with a cast-net, fishing for Trout, Redfish and Black Drum. Captain Jack Carlson of Two Conchs Charters joins the show next talking about his recent trips that had a great Permit bite and bottom dropping for Mutton Snapper. Captain Jack also discussed his fleet of boats and expert Captains who have been hauling in the Wahoo and Black-fin Tuna! Next we head for the freshwater with Travis Palmer of “Ditch Fishing 101” who fills us in on some great Tarpon success in the backwaters of southwest Florida. Travis also fill us in on a unique fishing tournament that targets invasive species. There ore over 22 species of invasive fish in Southwest Florida and the Glades and over 500 in the entire state. Listen as Travis tells you how you can participate in this study bases fishing tourney. Rounding out the show today we have a special guest join the program. Captain Steve Sewell of Hawg Wild Charters in Fort Myers brings you an off-shore report about Lane Snapper and Grouper. We also discussed the encounter his team had with a large Mako Shark recently! The Hawg Wild Team of Captain Steve and Captain Sam are known for their off-shore skills and bringing in some great Permit, Snapper and Grouper. scott April 2, 2018 . No Comments on Hall’Em In Fishin’ Episode 8 The Bi-Weekly Florida Fishing Report!. Categories: "Hall'Em In" Fishin', FLORIDA FISHING REPORT. ← Hall’Em In Fishin’ Episode 7 Brings You The Bi-Weekly Florida Fishing Report!